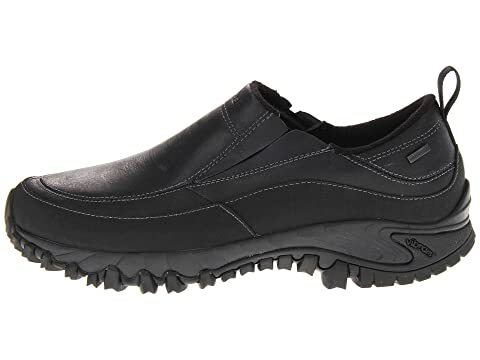 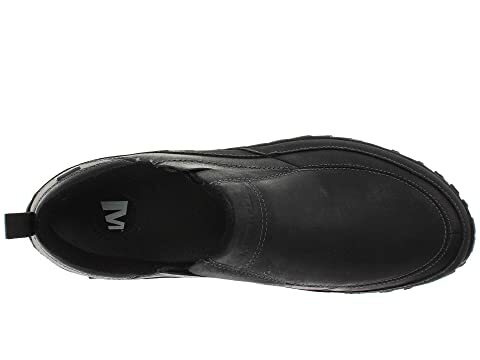 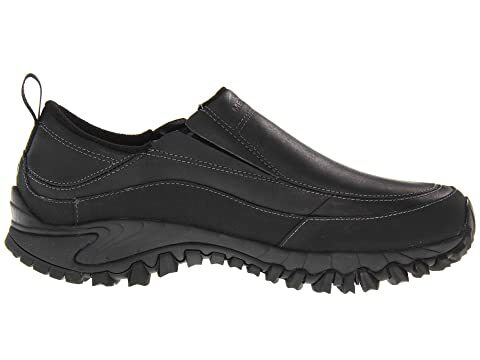 This slip-on moc from Merrell® will keep you from shivering even when the temperature plummets. 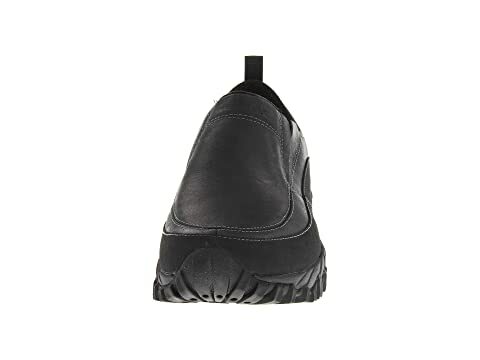 Full-grain leather upper features an elastic stretch band for easy on and off. 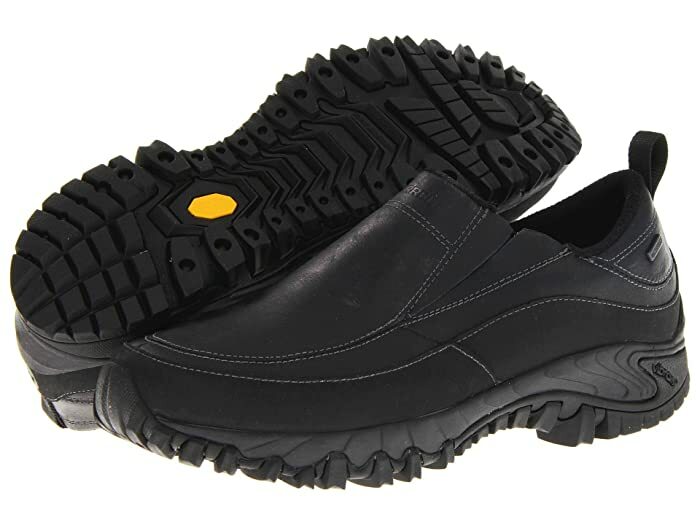 Polartec® lining with Aegis™ antimicrobial treatment keeps feet clean and warm. 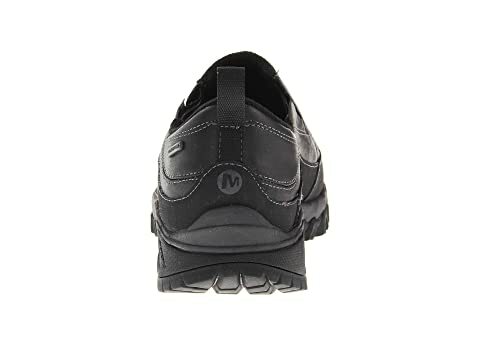 EVA footframe and air cushion midsole supplies support and shock absorption. 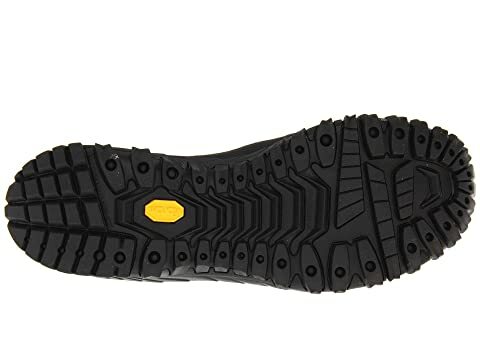 Vibram® thermo multisport rubbers outsole helps maintain a solid and steady stride.